All Alexa devices now know where you are (but it's ok) | What Hi-Fi? All Alexa-enabled devices - not just those made by Amazon - will now be able to tell which speaker is closest to you when you give it commands. If you have two Amazon Echo speakers in one room, and call out "Alexa", only one will respond. That's because those Echoes can communicate with each other and tell which one is closest - stopping you from activating both at the same time. This used to be a feature limited to Amazon's own products, but now - because Amazon's moving its 'Echo Spatial Perception' technology to the cloud - any device using Alexa will be able to detect whether it's the closest one. And it's not like you'll have to do anything to trigger this update either. Consumers and hardware makers can kick back as Amazon's back end makes their products more accurate. 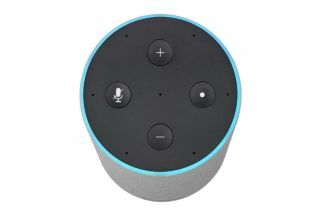 Unfortunately, this doesn't fix other issues that Alexa has, such as how timers and reminders live locally on the device rather than being universal (so if you're in another room at the time, you'll miss it) - but it's certainly a step forward. Anything that gives third-party products - such as the the Sonos One speaker or Beam soundbar - a more level playing field, thus driving competition and innovation, is all right by us.